I would like to confine my comments to Mr. Greg Virgilio’s role as a court-appointed receiver and as a participant in the “license” program to prevent homelessness. In these endeavors, Mr. Virgilio has consistently shown himself to be exceptionally caring and compassionate. He is always willing to go the extra mile to work with people no matter what their circumstances. I just wanted to include a note of sincere gratitude. Without your excellent service, I would have been in far worse shape than I ended up, which is nearly inconceivable even to me! I’m used to operating in a professional environment, and it seems that a lot of the real estate activity involves people who participate specifically to avoid professionalism. I think what you’ve got going is extremely professional and a gem among the rocks. 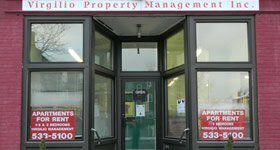 Virgilio Property Management Inc stepped into a very precarious situation with both feet and took action immediately to turn the building around. By working with the tenants who had heretofore had an adversarial relationship with their previous management company. Judy Weber and I want to offer our sincere thanks for your generosity in spending so much time with us yesterday. It was great to hear about how you’ve succeeded with your very challenging portfolio. Your accomplishments and your approach are inspiring! Greg has played a major role in saving Byers Street from becoming a wasteland. His successful management of 84-88 Byers Street for the past several years has been appreciated by everyone in the neighborhood. 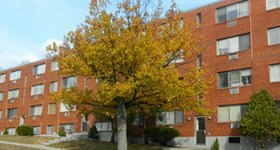 On Behalf of my client, Carolyn Redd, and speaking also for the Hampden County housing unit of Western Mass. Legal Services, I write to express our support for Greg Virgilio’s proposal to buy the buildings at 84-86-88 Byers Street. Over the past several years, Greg has become an invaluable resource in the affordable housing scene in the city. Congratulations to Greg Virgilio, and to the RHA for making such a fine choice for Landlord of the Year. Greg has worked tirelessly for many years as a Receiver in many of our Housing Court cases involving distressed and abandoned real estate. This work is extremely important to arresting urban blight and decay, and protecting the health and safety of both resident families and abutters of abandoned housing. If Greg hadn’t been there for us, we would not have been able to accomplish the turnover of the building and ultimately join together to purchase the building.